Family. Friends. Great Food. 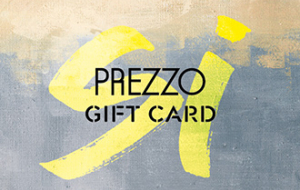 Make every occasion a celebration with Prezzo! From bubbling pizzas and scrumptious pasta to delicious desserts and refreshing ice creams, we’ve got all the ingredients to make it extra special. With over 250 restaurants across the UK, from city bustle to rural retreat, there’s a Prezzo for everyone. Life tastes amazing, so come and take a bite. Now all you need to do is book a table and when you visit present your eGift code to waiting staff and we’ll take care of the rest.